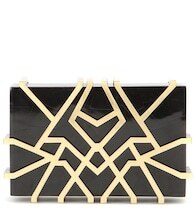 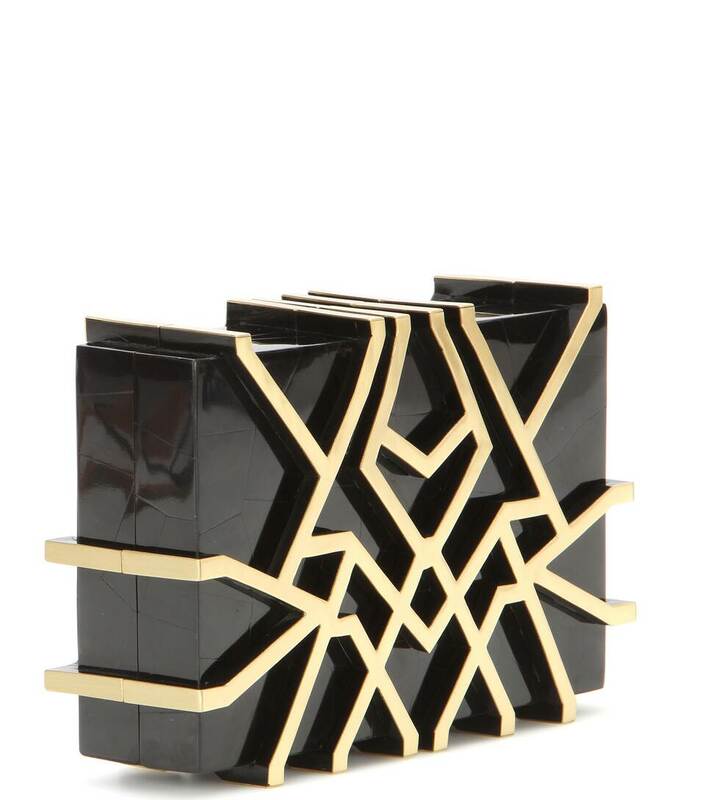 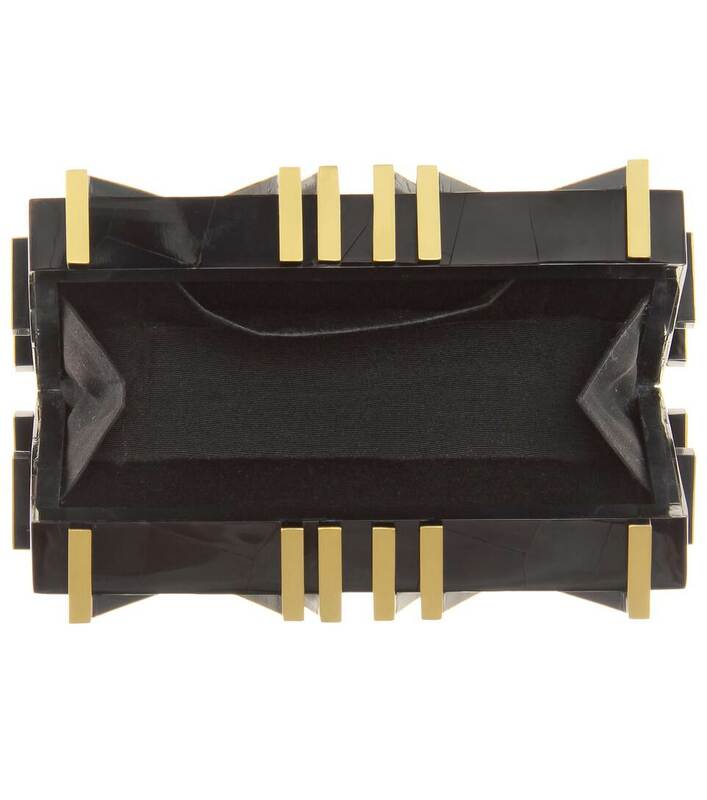 For the 'Eliferia' box clutch, Nathalie Trad shows off her signature geometric style in raised gold-tone metal that contrasts perfectly against the black shell base. The glossy finish brings an undeniably glamorous touch. 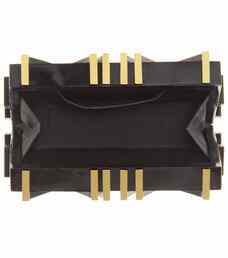 It's the perfect size for your lipstick and mobile - make it your go-to clutch of choice for all of your elegant occasions.